Are you a list writer? You might be very good at writing lists. You know, write a to do list, cross out what you’ve achieved at the end of the day or week and transfer that over to a new list with any new actions. If you are good at it then it’s an efficient way to operate. But maybe you find the ever growing to do list a cause for concern? Gives you stress or worry? It never gets finished and it gets bigger and bigger and most of the time you can’t even find it! Maybe you like the idea of writing, keeping a diary of journal but somehow never find the time? It’s theraputic to write things down and get them out of your head, so this will be perfect for you. 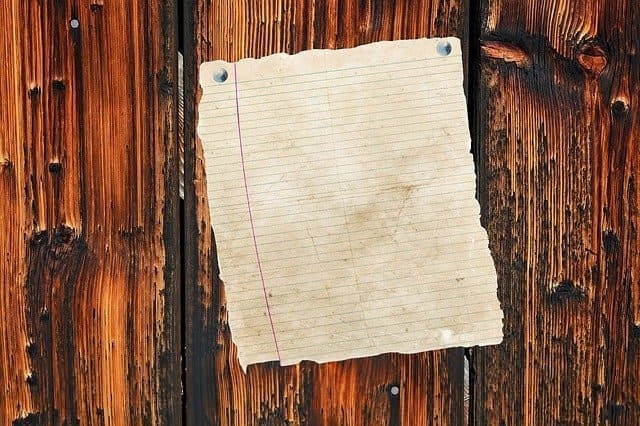 So how about writing a list that may help your life in some way? Lists that will heal your emotions or will bring you joy, relaxation or excitement. Or a list that helps you visualise and lights up new positive neural pathways in your brain. Lists are a concise and easy way to get stuff out of your head or get creative easily. So if your brain doesn’t know what’s fact or fiction and you visualise something nice, you will have positive feelings, excitement and anticipitation. Over the next 30 days come with me on a journey of healing, growth and goal setting all using lists! Lists are easy to write and balance the left and right brain by exercising both the logical and emotional sides of the brain. By writing things down and giving thoughts names, it can help clear up ambugity in the mind about what it is you feel or what it is you want. So are you up for it? It will take about 10 minutes a day. You will need pen, paper and something to lean on. How easy it that! For some of the lists you might want to use your computer for light research. Why would a Worthing based Hypnotherapist that usually helps people with stop smoking, anxiety, weight loss, stress and depression blog about lists? This is a great question 🙂 I use a blend of therapies to help my clients including Hypnotherapy, NLP, tapping, Reiki and life coaching. I work at a deep level with my specialism of depression. I use different techniques to suit each individual because people are so different. The power of words never ceases to amaze me. Kind words can change lives, giving words to our thoughts and feelings can help us understand ourselves, changing the words that we thought were true can create new possibilities. Words can connect us to ourselves and to others. Get the kettle on and write a list of all the things you could have made a New Year’s Resolution about and then just circle one that is the most important. Never knew that the brain can’t differentiate between fact and fiction. Explains a lot! Thanks Honey. Only 10-minutes a day? Now, that is my kind of therapy! Looking forward to doing this with you. Thanks! Ooh, I love lists, but I don’t always use them effectively. I look forward to this journey with you to learn more. I do like lists, I make them all the time usually as tools for getting organised but also when I need to make decisions. I’m not a resolution setter but I am doing some planning for the coming year and that is also involving a certain amount of list writing. Great blog, Honey. I must admit I’ve never been much of a listmaker, but your post has me ready to give it a another try. Maybe it has something to do with quieting the mind enough to improve my focus. I’ll do as you say and put the kettle on and write that list… Thanks!